Every once in a while you just want to relax. 🙂 Today I am taking a look at Fit the Pictures. 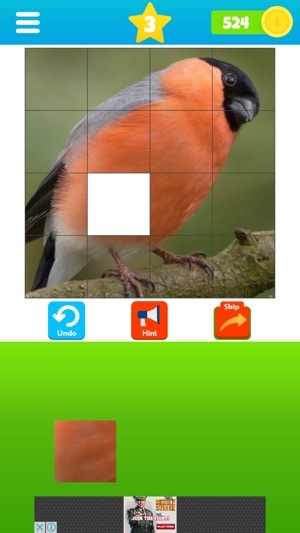 This is a free to play puzzle game available for both Android and iOS devices. 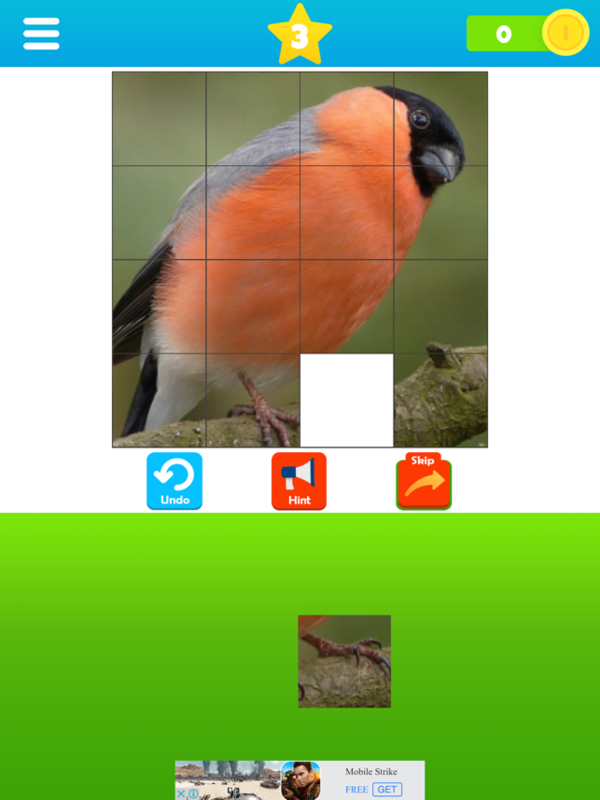 There is a small ad at bottom of puzzle screen but it does not detract from the game. 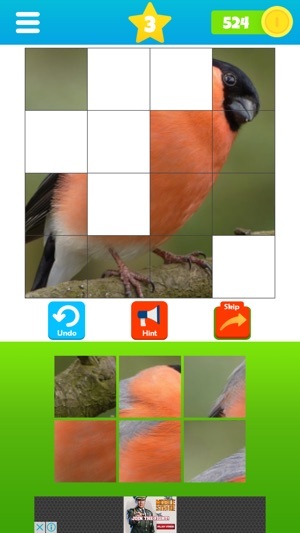 This is a casual puzzle game appropriate for all ages. The game broken up into fifteen levels. The first two are free and it will cost you 500 coins/level to unlock. 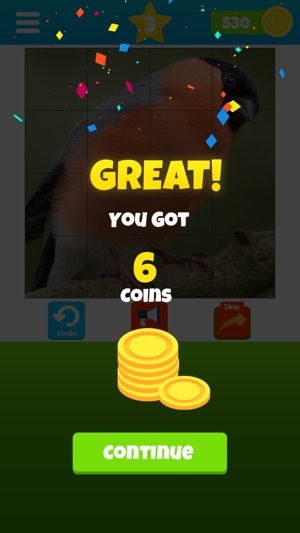 You start off with 1000 coins. 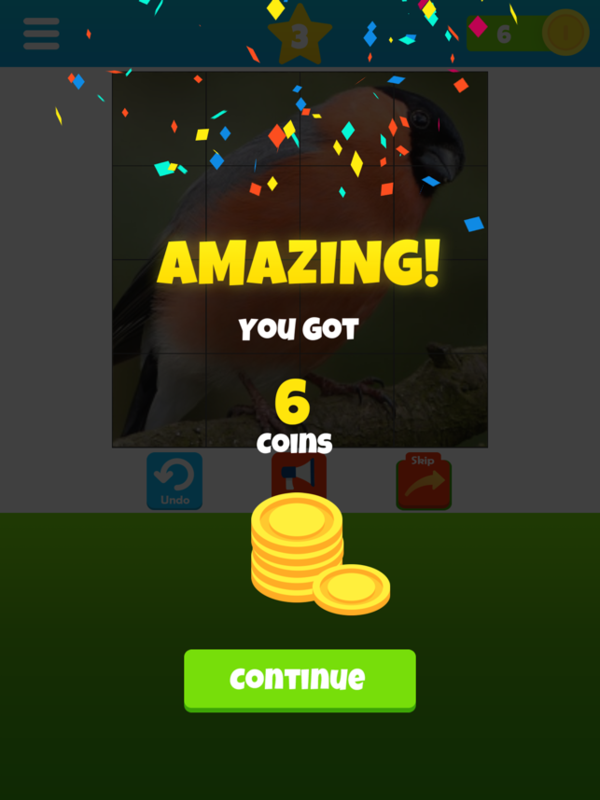 You earn more coins by solving puzzles or by watching a video ad in the store. You can also unlock all levels in the store with real cash. 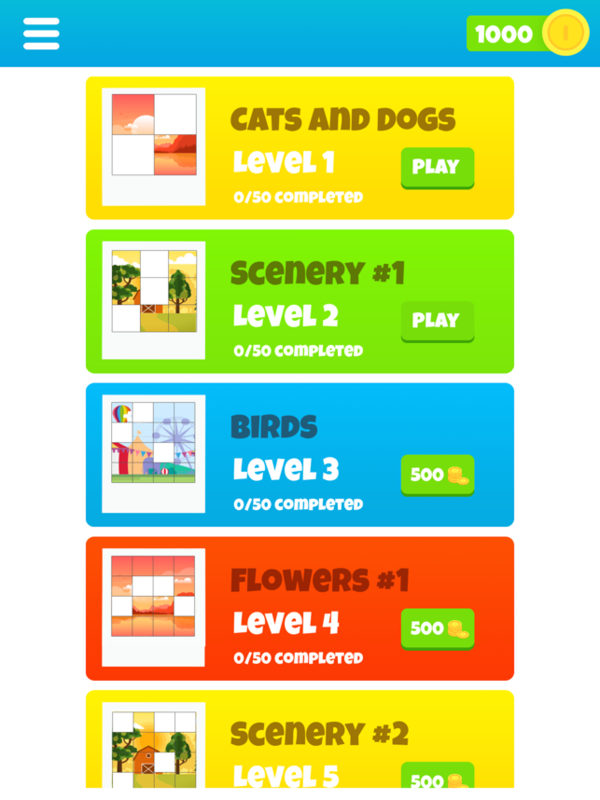 Each level, which has fifty puzzles, is based on a theme such as cats and dogs, flowers, nature, scenery, world tour and more. 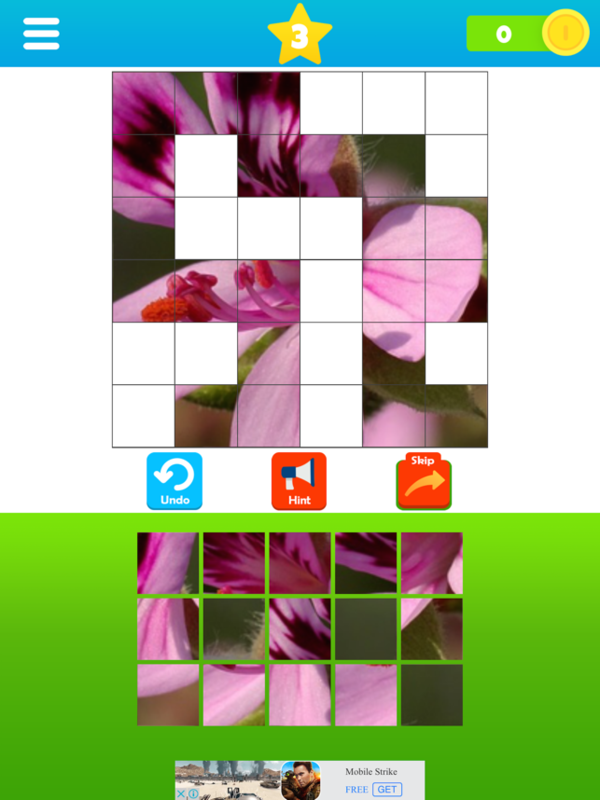 The beginning levels are easy, with bigger puzzle pieces, but as you progress it will get a bit harder. 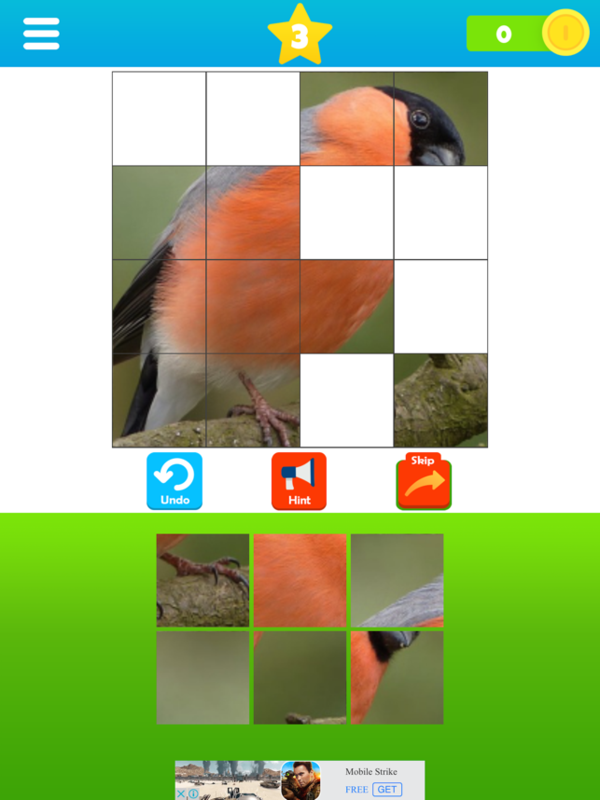 Each puzzle has already been started and your job is to finish it. All you have to do is slide the pieces to where you think they belong. If you get it correct, the game will let you know and you can move on. 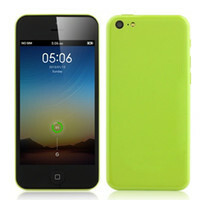 If is incorrect, you will need to remove the pieces and start over. The game has an undo button and a hint button, that that costs 50 coins. 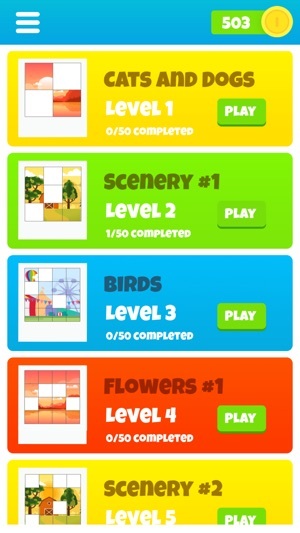 You can play any level that is unlocked but you have to play the puzzles (in the level) in the order the game gives you. One thing I found with the game, is that with some of the small puzzle pieces, if you do not put them in the right place, they will not stick. This can be a bit frustrating. 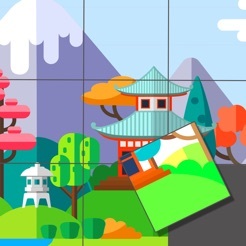 This is a bright and colorful picture puzzle game that I think younger audiences will enjoy. There is no power ups, shooting, wizards, or dragons, just a casual puzzle game with some beautiful photography. The developer has done a nice job with this game and hopefully they will add more levels since once you finish a puzzle, that is it. 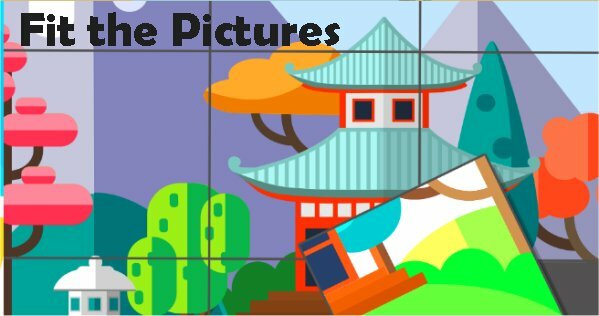 So if you want a casual picture puzzle, give Fit the Pictures a try. 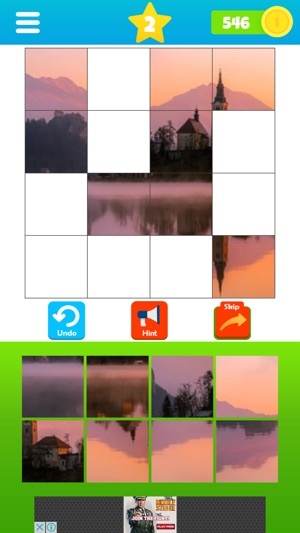 A casual picture puzzle game with 750 bright and beautiful photographs.